This Christmas, instead of breaking the bank at the mall, give the gift of a homemade treat! There are so many fun ideas that will not only cost less, but they are fun to make and even more fun to receive. Here’s just a short list to get those creative juices flowing. 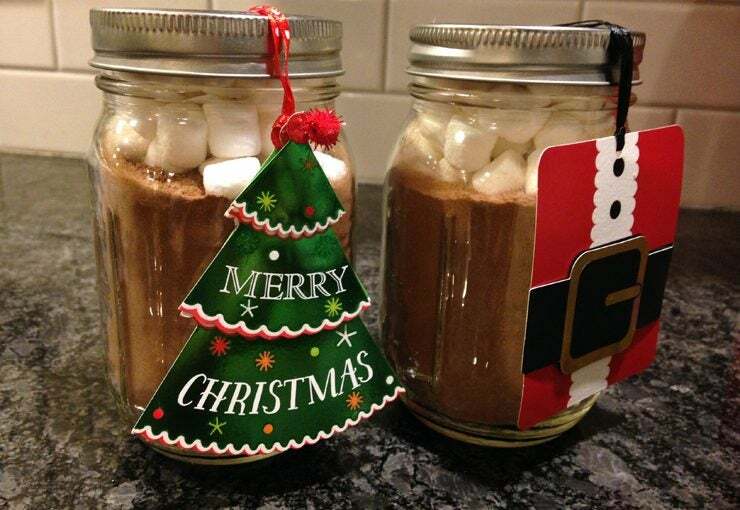 Give the gift of warmth by making your own decadent cocoa mix! I used Smitten Kitchen’s recipe the last couple years and I got rave reviews. You can also even make your own marshmallows if you’re feeling ambitious. This time, I chose to just use premade mini marshmallows and I promise they’ll love it all the same. This is one easy treat to make and one that you can customize about a million ways. Peppermint bark is traditional but why not try something out of the ordinary like chocolate orange hazelnut or chocolate almond bark that looks like real tree bark! DIY seasoning blends are super easy and you can get so creative – you likely have most of the ingredients in your pantry already and you can put spice mixes in smaller jars to gift them so you can make a lot of gifts with a few ingredients. Try making your own homemade taco seasoning or a barbecue spice rub. It could not be easier to make your own vanilla extract – it’s the perfect gift for the baking enthusiast on your list! You just simply add split vanilla beans to your choice of liquor (I like to use brandy, but you can use vodka, rum, or bourbon as well). It does need to sit for about 4-6 months; if you didn’t work on this ahead of time, just put that on the gift label and they can enjoy it in the future. Help them pamper themselves with an at-home spa treatment! Not only is this peppermint foot soak recipe easy to make but they also provide printable tags to make your jars look even cuter. Another spin on the at-home spa treatment with a sweet gingerbread scented sugar scrub. Perfect to help them keep their skin smooth – you may want to make an extra jar or two for yourself! Hope this list of DIY Christmas gift ideas helps get your creative juices flowing! Give the gift of homemade this year – your wallet will thank you and your recipients will really enjoy the time and energy you spent making them something special.